Enter your email address below to receive a notification when MugCrate starts accepting new sign-ups! Enter your email address below to receive a notification when MugCrate is accepting new sign-ups again. 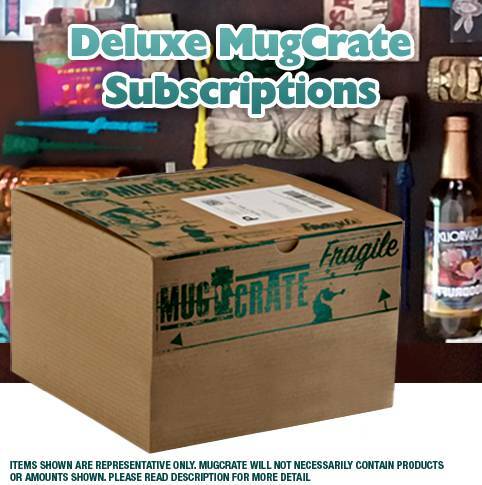 MugCrate is a subscription box for lovers of Tiki mugs, cocktails, and all things Polynesian-pop! March Crates will be on sale after December 15th! 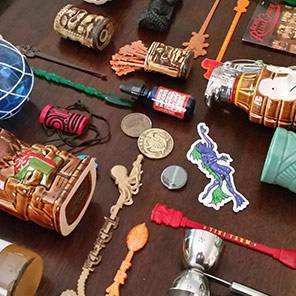 Tiki mugs for yourself, your bar, or your luau! I was excited to sign up based on past mug crates. After carefully looking to see what had been in past crates, I took the plunge. Convinced I’d be getting a special mug each time I signed up for 4 deluxe crates at roughly $77 per crate. I got a mug that retails for $10 from a tiki restaurant in Florida. The ‘deluxe’ part of my crate was a walking stick emblem and a cookie cutter. When I wrote the seller, and offered to return the crate for a refund they declined. It was a ridiculous crate based on a Florida theme. Really, just garbage. Don’t look at the past crates, just know that the quality has gone way down hill. Please don’t waste your money like I did. Google the December 2017 crate and don’t buy! Great product for those that like tiki, neat barware, and good cocktails! The mugs are well-made, interesting, and thoughtfully choosen, the trinkets are a lot of fun, and the cocktail fixings will elevate your alcohol consumption to a new level.